Our strange planet features a variety of magical locales (such as the San Luis Valley) that have a history of unexplained events—such as bizarre aerial activity, strange phantasmal creatures and other phenomena—centered around specific locations. East, west, north or south, it doesn’t matter where you travel on this blue globe hanging in space, there will probably be a paranormal ‘hot spot’ region near you. Generally, these hotspots are little known outside of their particular region and most of these areas appear to have a high incidence of UFO sightings, unusual geophysical properties, rare weather phenomena, crypto-creature reports and they often feature myths and legends that describe hallowed grounds containing sacred sites. Many of these hotspot regions have been subjected to waves of anomalous activity, inexplicable phenomena that have been observed for generations and many of these locales are still held sacred by their original inhabitants. A partial sampling of so-called hotspot regions from around the world would include: Ayer’s Rock and the Alice Springs area in central Australia; the Tully district in Queensland, Australia; Wiltshire and the Salisbury Plain in England; the Falkirk triangle and the area of Scotland around Bonnybridge; the Perm Anomalous Zone in the Ural Mountains; several locales in the Altai including Uimom; Puerto Rico’s el Yunque; the Zone of Silence in north-central Mexico; and in South America, Argentina’s Santa Fe and La Pampa states. To fully list all of the world’s known hotspots would be difficult, if not impossible, for most are little known to the outside world. It is safe to say these special regions number in the hundreds. North America features more than its share of hotspot regions—some more celebrated and documented than others. A brief, partial listing of North American hotspot regions would include: the Uintah Basin’s infamous “Skinwalker Ranch” inside the Uintah Ute Indian Reservation; New Mexico Highway 70 (and the mountains around the Mescalero Apache Reservation); the White Sands Missile Range; and Mothman country back east in the Ohio River Valley around Point Pleasant, West Virginia. While we are on the East Coast there’s Pine Bush in the Hudson River Valley; the mysterious eastern tip of Long Island, New York; and the magical Seashore State Park in Virginia Beach, Virginia. At the top of North America, in the southern Rocky Mountains, we find Colorado/New Mexico’s San Luis Valley (“SLV”)—quite possibly America’s most anomalous region. There appears to be a lid of disclosure clamped shut over this special area that we will examine later in this article. There is something weird and wonderful going on in our reality, and in the early 21st century, quality documentation of unusual events has put the mainstream scientific community on notice: whether they like it or not, hotspot regions are worthy of 24/7 on-site scientific study. These regions are our most direct paths to exploring and researching what could truly be called “The Unknown”—those places on old seafarer maps where they wrote, “Here be Dragons!” Growing interest in these regions has begun to attract scientific exploration, but more world-class investigation and analysis are needed. A healthy skeptic would ask, why should hotspot regions be considered special locations, different from other regions, and why hasn’t mainstream science spent more time and effort publicly examining these locales? These are legitimate questions with an easy, albeit cynical answer: within the trenches of mainstream science, professing even the slightest interest in taboo paranormal subjects is a bad career decision that could haunt your professional life worse than the most celebrated ghost. For on-site investigators in these regions, this emerging proto-scientific area of study is wrought with stigma and social peril. However, questions surrounding the validity and reality of paranormal events are slowly beginning to be acknowledged by high profile, mainstream scientists who have established that these events are crucial to our understanding of many undefined aspects of our collectively perceived reality. I contend that these pivotal specific regions are also a sociologist’s undiscovered goldmine, however, few long-term studies have been mounted to scrutinize experiencers who live in these locales. After personally interviewing hundreds of witnesses of these types of events, I have begun to suspect that the experiencers themselves are as important as the incidents of weirdness they experience. However, the actual location where they experience these events remains important as well. 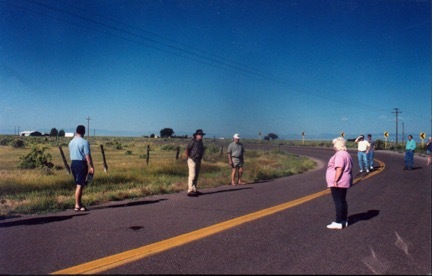 years from 1992 to 2002 investigating and documenting events that occurred in and around the SLV. I uncovered thousands of stories from the recent past and hundreds of current reports of the unexplained; many of these gems now encrust the extensive database I developed covering this crown jewel of paranormal hotspots. Something very intriguing going on in the SLV and in other hotspot regions, something well worth a world explorer’s interest and study—and we may be at a time where these areas are finally awarded the attention they deserve. One high-profile scientific effort is worthy of mention. For over ten years the National Institute of Discovery Sciences (NIDS) conducted a monitoring program at the infamous Sherman Ranch “portal site” in Utah’s Uintah Basin. The book Hunt for the Skinwalker (Paraview Books, 2005) by Colm Kelleher and George Knapp provides a somewhat incomplete yet recommended recounting of the investigation. Given rumors and circumstantial evidence of its possible involvement in this case, it is not outside the realm of reason to suspect that the US government has been monitoring other hotspot areas (e.g., in the SLV and the Uintah Basin) for decades. I think it’s not-so-safe to say there is probably more covert action going on behind the scenes in these regions than investigators and the media are acknowledging. So, has the government military-industrial complex already forged ahead, decades ago, in an effort to define and study the enigmatic physical properties that appear to be at work in these hotspot locales? Going even further, is it possible that they may have come to a new understanding of these scientific riddles and are actively (with the aid of high technology) utilizing these regions’ unique energetic properties for unknown purposes? These questions have not been adequately addressed by the paranormal research and investigation crowd, which seems all too preoccupied with re-hashing Roswell and other probable red-herring cases. I have become suspicious of this hidden potential element because I have logged hundreds of reports that suggest apparent military involvement during incidents featuring extraordinary circumstances, and events beyond simple mundane understanding. Complicating the recipe further, many North American hotspot regions (especially those found in the Four Corners area of the Southwest) have a nearby governmental/military presence that appears to be interested in expanding its control further into these specific areas. It seems to this investigator that many reports of unusual aerial phenomena in hotspot regions actually identify military activity. 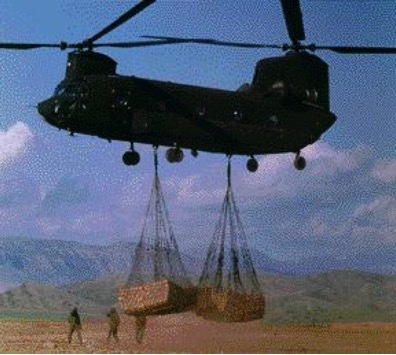 Your tax dollars at work! this question, because that is exactly what I did. succumbed to objective analysis, and the factoring out of any mundane explanations. Below the dunes, the 4,000 square mile, semi-arid desert SLV floor is perched at an average elevation of 7,600 feet, over a mile-and-a-half above sea level. The vast valley floor averages less than five inches of rainfall per year. The valley’s entire wishbone shape, over 130 miles long, is ringed by majestic forested mountains that soar skyward on all sides. 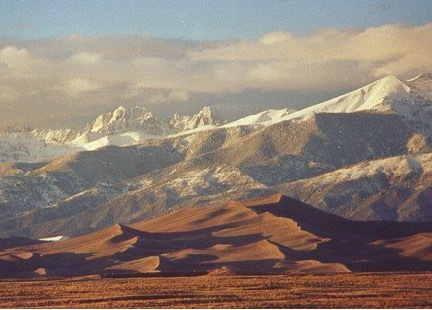 On the eastern side of the middle part of the SLV, the Great Sand Dunes afford a commanding view of the valley. Behind the dunes to the east stands a solid wall of rock soaring to heights of over 14,000 feet, the imposing Sangre de Cristo Mountains (or Sisniijiini in the native Dine’ tradition). This cluster of promontories at the valley’s midpoint, which I’ll call the Blanca Massif for convenience, contains the valley’s highest mountains. This 25 square-mile jumble of peaks stands like a host of brooding sentinels in the dawn. For thousands of years, Blanca Peak and its lofty neighbors have been the focus of Native American myth and tradition. This stretch of the Sangres is rumored to contain doorways or portals to another realm where “all thought originates.” Indeed, the area of the Sangres around the dunes appears to be ground zero in the mysterious SLV. 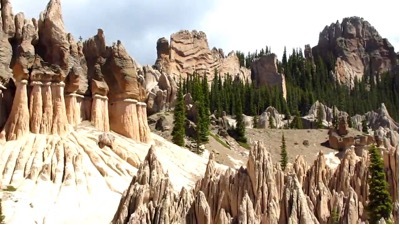 The Sangres are the longest continuous mountain chain in North America. The southern end of the valley is dominated on its eastern side by the Sangres’ Wheeler Peak, the highest mountain in New Mexico. The entire western side of the SLV is bordered by the older San Juan Mountains, which rise above a labyrinth of deep valleys and roaring rivers to their west. The famous Rio Grande River originates in the San Juan Mountains, just west of the SLV near Creede, Colorado. From there, it snakes its way into the valley’s midpoint and then heads southward to the Gulf of Mexico. The Sangre de Cristo/Rio Grande Rift is considered to be the second longest rift valley on the planet, bested only by the Great Rift Valley in Africa. Straddling the backbone of North America, the San Juan and Sangre de Cristo Mountains merge at the extreme northern end of the valley in Saguache County, after emptying over one hundred creeks into the largest freshwater aquifer in the United States. The southern portion of the valley was the first officially settled region of Colorado, and two-thirds of the way down the valley’s length, below the Colorado- New Mexico border, are some of the oldest European settlements in the United States. San Luis, in Costilla County Colorado, founded in 1851, is the oldest town in Colorado. 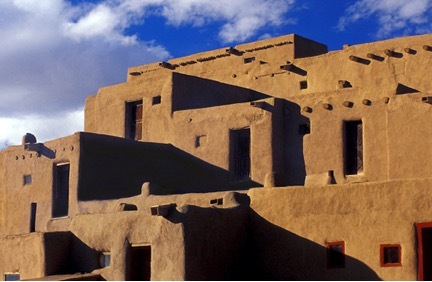 As a result of the sixteenth and seventeenth century influx of settlers migrating north from Taos and the New Mexico Territory, today the southern part of the geographic valley has a rich cultural tradition with Spanish-speaking residents making up half the population. 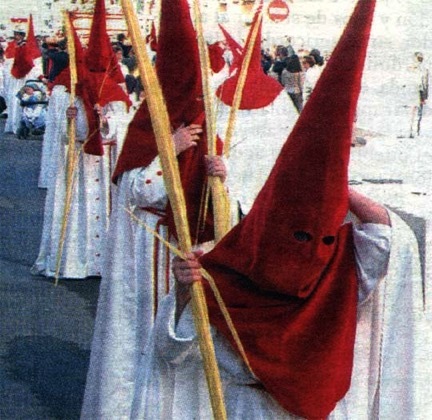 Physically and metaphorically isolated from the outside world, this unique Hispano subculture has developed its own special character, combining mystical elements of indigenous Native American beliefs with an Old World style of fundamentalist Catholic piety. This close-knit Hispanic population is very superstitious, wary of outsiders, and their peculiar beliefs incorporate much myth and magic. Hotspot regions like the San Luis Valley are veritable magnets for reports of paranormal events. But unfortunately, any attempt to define what constitutes a truly “paranormal” event is wrought with perilous philosophic and scientific challenges, and a lack of hard data. Prior to my arrival, knowledge of past-unexplained activity had not traveled out into the mainstream of the valley culture. As in prehistoric times, experiencers’ and witnesses’ quiet descriptions to friends and family filtered only slowly into the greater local population, with the details subtly shaded or lost as the stories were told and re-told. In the past 100 years, small town papers occasionally hinted that these unexplained events were occurring only if reporters were assigned to the story. More widely-known accounts and personal experiences were recounted at family gatherings, picnics, at the post office, over the backyard fence and out in the grocery store parking lot. Knowledge of these events slowly disseminated around the community. But in this modern age of instant communication, local knowledge of inexplicable events echo around the SLV. And, as in other hotspot regions, word of unexplained activity appears to be firmly embedded in the population. With the advent of the popular 1992 television program The X-Files, these formerly socially taboo subjects cemented themselves inside America’s collective psyche. Even though the stigma attached to these subjects has softened, many people immersed in Western culture still find these subject matters unsettling, and the end-of-broadcast Twilight Zone theme (“de-de-de-dooo”) and “little green men” jokes continue to litter local TV news coverage of the inexplicably sublime. The father of “gonzo” journalism, Hunter Thompson, used to assert, “when the going gets weird the weird turn pro”—an axiom that could be applied to this particular paranormal investigator. When I moved to the mysterious San Luis Valley in 1989 little did I realize that I would spend the better part of the next fifteen years investigating, researching and documenting around a thousand unusual events—all occurring within the well-defined confines of this specific area. Having experienced them as well, I definitely resemble a Thompson-esque gonzoid investigator of the weird. seeing Bigfoot and choppers and fireballs and ghosts and elementals and other assorted weirdness? In the process of familiarizing myself with this “mysterious valley” Petri dish and its prehistoric tradition, I could not overlook the thirteen different tribes of Native Americans who are known to have visited here over hundreds, and some, probably thousands of years. Let’s start at the beginning. Some members of these tribes still regard the SLV and its surrounding mountains with a mystic reverence. Upon researching these special areas, one gets the sense that there is a connection between current unexplained events and an ancient tradition of sacredness, or specialness, that extends back in time to the first experience in the area. In the case of the SLV. the Crestone-Navajo custodian of Sisnaajini (or the Black Sash Medicine Belt of the Sangre de Cristo Mountains) told me that the portion of the Sangres range that extends from the Blanca Massif north to Crestone plays an important role in the mythic tradition of many Southwestern, Great Basin and Plains Indian peoples. 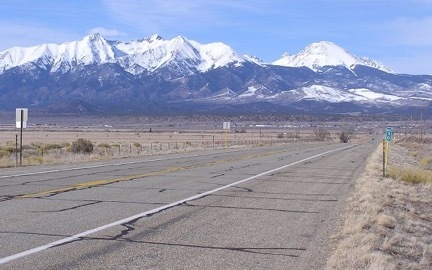 The epicenter of Bigfoot sightings in the state of Colorado is along the Colorado-New Mexico border, near San Antonio Peak, said by the Tewa to be home of the god of the underworld, Maasaaw. We didn’t think too much of it until it moved. It stood upright and walked like a man. At first, we thought it was a hiker but it was all the same color, from head to toe. It walked about 15 yards before it walked into the trees. My uncle and I both stopped to make sure we saw the same thing. But we drove down the road about 300 to 400 yards before we decided to go look for it. We walked into the trees about 200 yards and came to a small meadow. My uncle was looking the other way when at the other end of the meadow it ran through. I yelled, ‘There it goes!’ We took off after it, on foot. This time I got a little bit better chance to look at it. The creature was a light to a medium brown and had shaggy long hair; it stood about seven feet tall. When we reached the end of the meadow, each of us went in an opposite direction. My uncle went the same direction as the bigfoot, and I went the other way in case it double-backed on us. But we didn’t see the creature after that. We did find a few footprints, but didn’t have any plaster to make a mold. So we went back down the mountain. 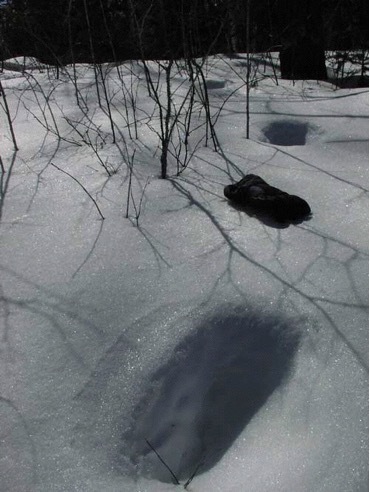 There have been over a dozen quality Bigfoot reports filed in and around the SLV including a flurry of reports investigated by Costilla County officials in 1994 and 1995, as detailed in Secrets of the Mysterious Valley, pages 229-232. I used to spend a lot of time up in that area and I’d fish in [Winchell] lake. I’ll tell you, there are some pretty weird fish in there. Funny thing, they’re all deformed. across, and what do I see? standing there, plain as day! doing all the way up here? You know, I’m half Cherokee and half German, and I grew up on the Navaho Reservation as a kid. I’d hear all kinds of stories about this Valley. This is the extreme northeast corner of Navaho land, and to all the Indians who visit, this is a very sacred place. The Navaho believe they came into this world from that lake up on Blanca… I can only tell you what they told me, and they said we emerged out of that lake, high up on Blanca… I remember being told that the water broke through the top of the mountain and flowed down the southwest side. The Navaho people were told to live where the water flowed. They have lived there, on the western edge, for the longest of times. been reported back over the ridge at Como Lake. In 1966 two local SLV fishermen, intimately familiar with the Blanca Peaks area, observed what they described as a “platypus” swimming slowly along the shoreline of the lake. The creature (normally only found in Australia) had the distinctive broad, flattened hairless bill and flattened tail. Startled, the two men matter-of-factly reported their inexplicable sighting to the American Museum of Natural History, but claimed their report was laughed at by museum officials and dismissed out of hand. Another anomalous “creature” has been reported dozens of times in the San Luis Valley. Two-foot long, undulating apparitions— traveling close to the ground— have been seen repeatedly by witnesses in two specific spots in eastern Saguache County. These “prairie dragons,” as one Navajo source called them, are shaped like flattened slugs without any apparent head; they are translucent at the ends but opaque in the middle, have no legs and leave no tracks or other evidence to indicate their presence. They have been reported coming out of walls and disappearing into walls and, curiously, these apparitions seem to be witnessed during time periods when a wave of UFO sightings and other strange anomalies is underway. Dogs respond to their presence and, at one location, they have been reported in groups of up to “a herd of 60” crossing the road. This 100-yard stretch of Road T, located at the first set of turns heading west out of Crestone. During Moffat High prom night 1993, several parents on the road allegedly observed a phantom herd of horses that galloped alongside their cars before veering off into the chico brush. As the startled drivers sped up, the three or four horses (depending on the version) kept pace with the vehicles without changing their stride. In this undeniably peculiar location on Road T, one of the witnesses reported seeing a strangely primitive, open landscape beyond the horses, although fence lines and two houses should be plainly visible from the road. New Mexico area, on the eastern side of the Valley near the Colorado-New Mexico border. 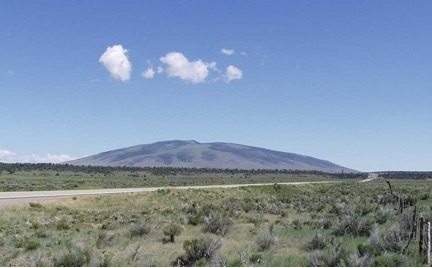 This majestic, soaring “hole-in-the-sky” monstrosity was most recently reported in the spring of 1993 by a ranch foreman tending his herd near Questa, New Mexico. It was also reported by a Mesita, Colorado resident and two visitors during the fall of 1986. The Highest Incidence of UFO Sightings in America? Reported UFO sightings in the San Luis Valley number in the thousands but there are a number of specific, documented reports that deserve mention. I couldn’t believe it. The UFOs would come down right over the trees and hover, then go off real fast, then the others would come down. They even flew in formation, with two together in front and the other three behind. At one point they hovered and turned on end like frisbees. The film was as clear as could be! [Edwards] did a good job of filming them. When they hovered low over the trees, you could even see his wife and daughter standing in the foreground watching them. Space constraints prohibit even a quick overview of the hundreds of documented UFO sightings in the SLV, but research has uncovered what is alleged to be one of the very first documented UFO reports in North America worthy of mention. 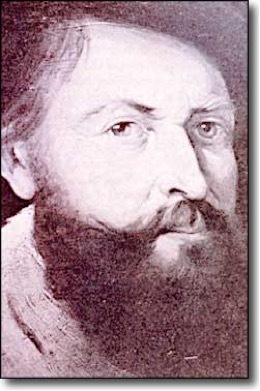 According to archaeo-astronomer Marilyn Childs, the diary of New Mexico Territorial Governor Juan Baptiste de Anza contains a 1777 entry that describes strange lights flying around Blanca Peak, along with a description of a powerful low humming sound heard emanating from the mountains. At the time, De Anza was leading an army that was chasing renegade Comanche Chief Cuerno Verde through the SLV. I have not been able to corroborate her assertion. 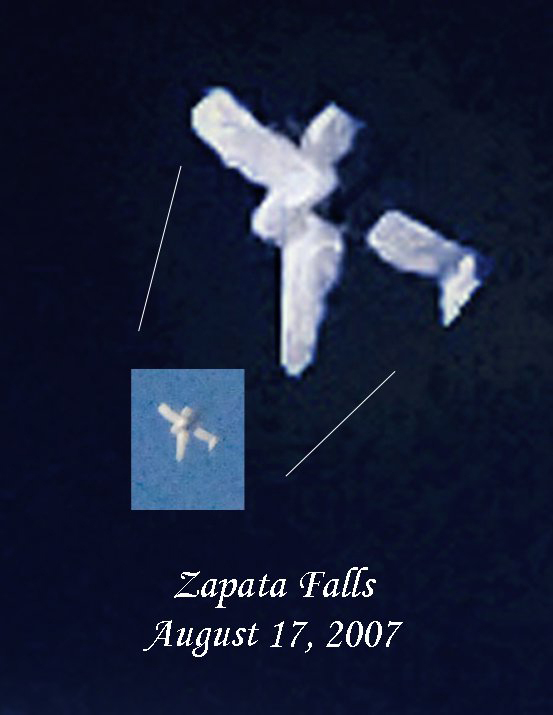 Other reports from the late 19th century and early 20th century suggest undefined aerial phenomena have been witnessed in the SLV and elsewhere for generations. These reports, made prior to the first conventional aircraft flights in the regions, obviously cannot be chalked up to “misidentified military activity.” Anecdotal research of these isolated historical events cannot prove or disprove their high-strange nature, however it appears that a long time ago something intelligent, with the aid of high technology, seems to have singled out humanity for unknown purposes. In today’s troubled skies, the plot has thickened; for now it appears we have new human players joining the game with unstated agendas. As noted in a recent article here at ourstrangeplanet.com, the NORAD Events (possibly the USA’s “dark horse” UFO affair of the 1990s) was comprised of a series of unexplained occurrences over a six week period, including reports of various types of UFO craft; two green, two blue, two orange and one white fireball; two orange orbs; two huge, mystery high altitude fires; a variety of mysterious booms; a flurry of Bigfoot reports; a documented unusual cattle death; and dozens of reports of accompanying military-esque activity. This flap began in early December 1993 and continued until the early evening of January 17, 1994.
p.m., and reported “a significant explosion” logged at 2:55 p.m. in the Greenie Mountain-Rock Creek Canyon area by a NORAD satellite scope operator in Cheyenne Mountain. Exactly two hours later to the minute, at 4:55 pm, Florence, Colorado resident Lt.
conventional craft, and were completely silent. This incident shares several aspects with the 1983 Gallup Incident that occurred exactly 11 years earlier. There, too, explosions were heard first and fireballs were seen later with the same two-hour time lag! For details of that incident, see Secrets of the Mysterious Valley, pages 239-242. Aerial craft or helicopter sightings and rumors of military ground activity were reported around the Greenie Mountain event, combined with probable misdirection by the government. Maj. McCouch, FEMA supervisor of the NORAD scope operator, appears to have directed local search crews to investigate a rugged area nearly 25 miles from the probable impact site, as indicated by the original coordinates. Was this suspected misdirection given to allow for a military search of Greenie Ridge with the low-flying B-52s and helicopters people reported seeing during the following four days? Two UFO Institute investigators in the area reported finding heavy equipment and snowshoe tracks; they also claim to have stumbled on huge “metal doors” in the ground a week after the NORAD story broke. The Greenie Mountain area is dotted with closed up, abandoned mine shafts, and rumors of anti-ballistic missile sites abound. 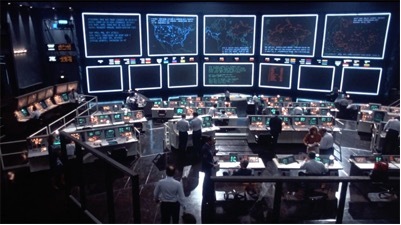 To my knowledge, there is no verifiable evidence of missile site activity or retrieval operations during the NORAD Events. Rumors aside, it would appear some other agenda was at work. When the crew of Varied Directions, a TBS film production company, called me a couple of months later they told me that they were planning a trip to the San Luis Valley, and then on to NORAD in Cheyenne Mountain, near Colorado Springs, to investigate the strange call to SLV law enforcement. The military initially granted permission for them to visit the secret mountain base, but when it was revealed that they were interested in the SLV events, their visit was promptly canceled for no apparent reason. It is noteworthy that Varied Directions was the first civilian film crew allowed aboard a Trident submarine when they produced a documentary on the sub for the PBS program Nova. They had also worked closely with NASA on a documented history of the space race called Moon Shot—a feature-length documentary based on the book written by ex-astronaut/Mission Control boss Deke Slayton. This is obviously a well-connected production company. But even with these impressive credentials and an inside track with the military, permission was revoked to film inside Cheyenne Mountain by NORAD officials. Not a popular subject with the casual paranormal crowd, ever since the Snippy case occurred in September 1967, the scourge of cattle mutilations has quietly spread around the Western beef-eating world. Since 2002, over 3,000 cases have allegedly been reported in Argentina alone, and estimates of the pervasiveness of the mystery most often cite the number of cases worldwide to well-exceed 10,000. Since 1967, around 200 official reports have been filed by angry, puzzled SLV ranchers, but the total number of cases may be closer to 1,000. Although “misidentified scavenger action” may explain a few of these reports, most ranchers are skilled, knowledgeable outdoorsmen who know what is a mundane livestock death and what is truly high strange. It stands to reason that they would not invite the scorn often associated with claims of animal mutilation upon themselves and their families. Couple this with dozens of reports of unusual military-style helicopter activity in and around mutilation sites and you have a truly puzzling scenario that is not easily studied, debunked or denied. 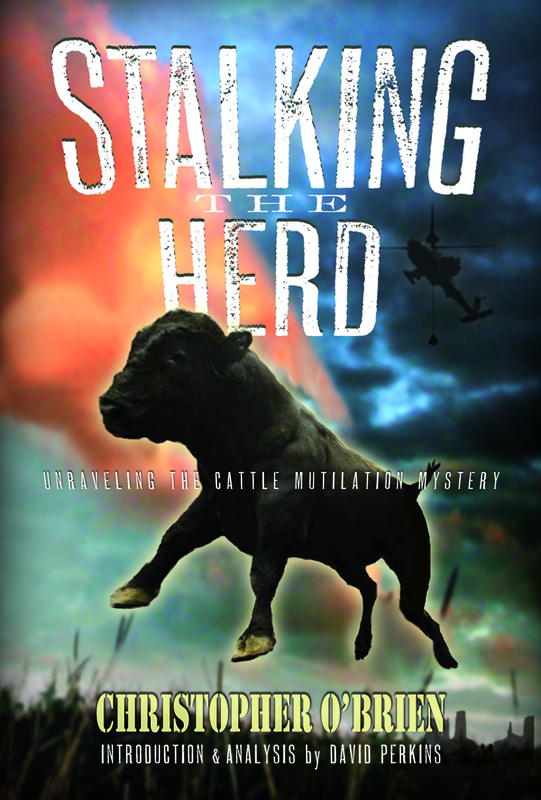 For more in-depth information on the enduring “mutilation” mystery, my recent book Stalking the Herd examines our close relationship with bovines that extends back at least 35,000 years and how this collective relationship may be manifesting the modern “cattle mutilation,” phenomenon. And what about the possible covert monitoring of the food chain for prion disease (‘mad-cow)? Chris — This article was an excellent read! I’ve been following your work, and have read all of your books. I wonder if the activity is still hopping there?? I’m planning on making a trip there to try and experience a little sumthin sumthin. Any recs on specific places? Thanks again for the great article! Your work it truly appreciated. I totally agree with Mr. Berg. Excellent article. Have followed your work since the SLV days and so appreciate your intelligence and integrity. where was the picture with the weird carved looking spires taken?